The sun was out the other day and I just happened to be in Woodway so I made a quick stop to visit the famous Pygmy goats. 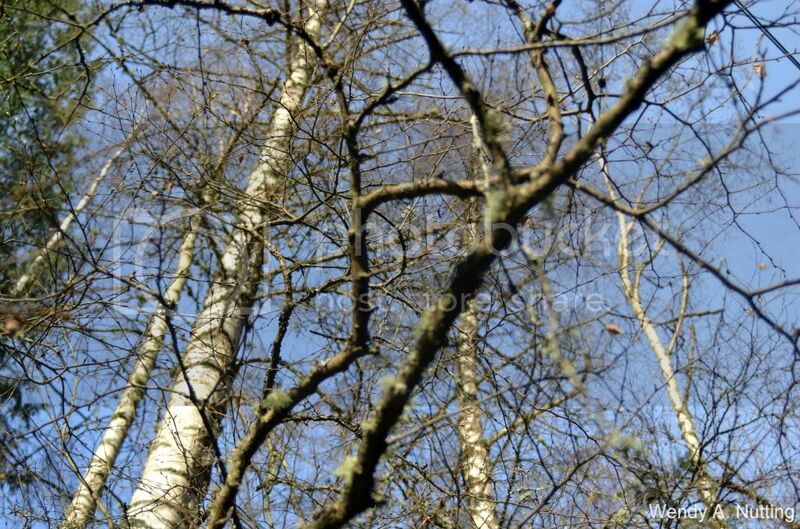 Woodway is just South of Edmonds and is known as a small hamlet with grand estates and large lots. 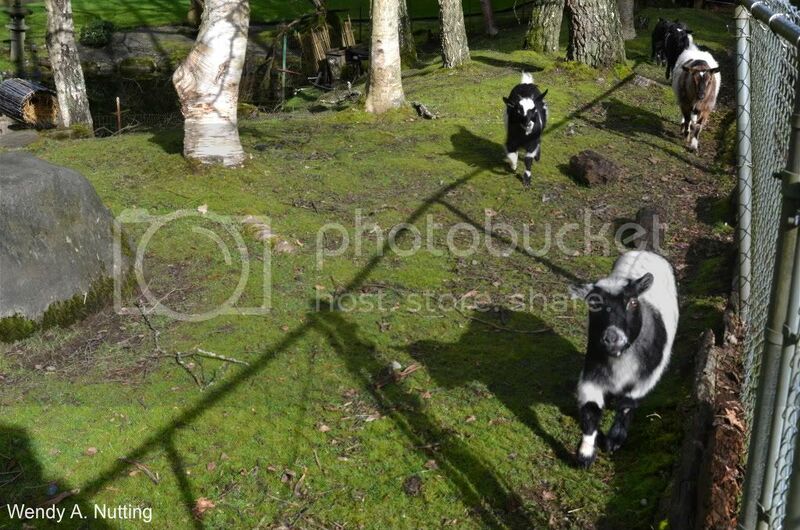 But when I think of Woodway I think of the fanciful private home where the adorable Pygmy goats frolic. Their home resembles a storybook, complete with a small pond, multiple little houses and lots of room to roam. And they love hosting visitors. You see when I pulled my car over to the side of the road it's like the dinner bell went off. They rush right up because they know I can reach the clover just on the other side of the chain link fence, I can reach the cedar fronds that are just above their heads and they know I will instinctively pluck the dandelion greens that bloom along the roadway and feed them. Oh, how they come a running. "Feed me, I know that is why you are here, I have been waiting for your arrival all day." They are so cute, the first time I ever saw them I was smitten. 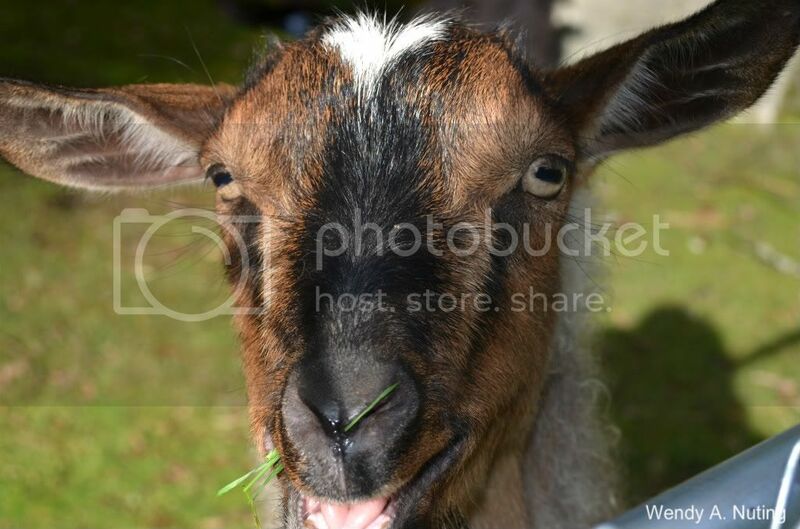 I rushed right home and Googled, How to raise Pygmy goats. Of course living in a townhome was not the prefered enviroment for these voracious nibblers, so I am resigned to visit. 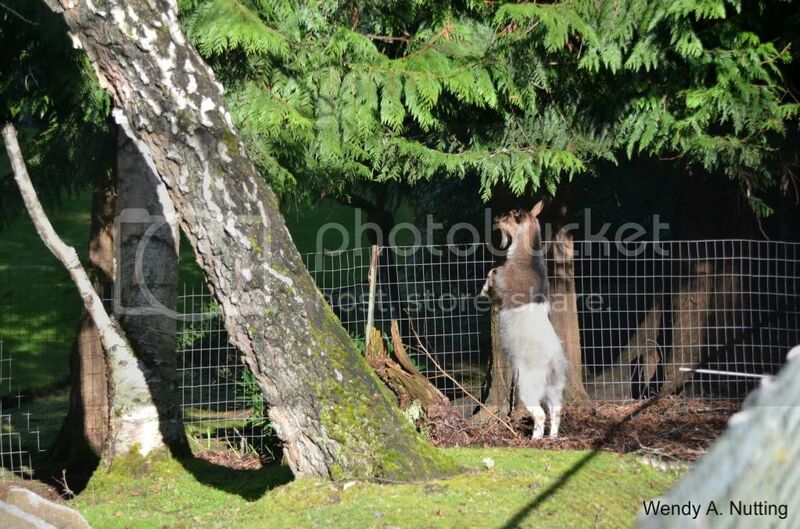 And they are so happy to host, thrilled to extend a warm welcome to anyone willing to help a goat out and offer up the treats that are just beyond the fence. 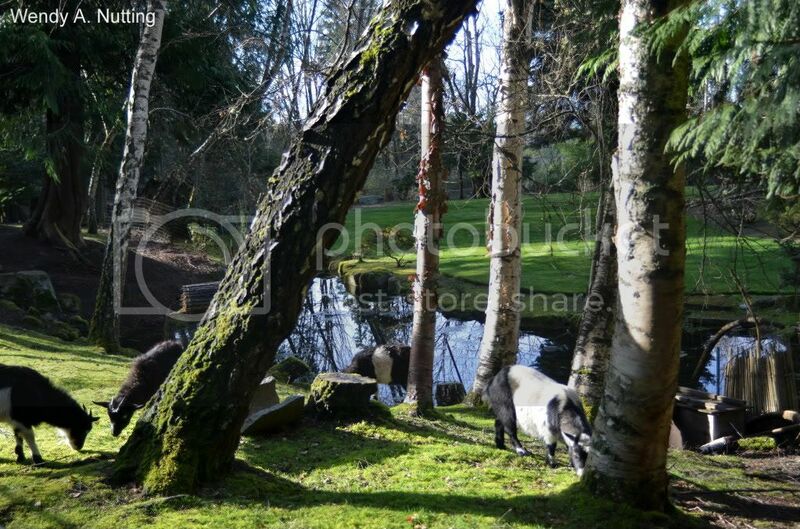 Their home is lush, mossy and a vibrant emerald green. They have bridges, and ladders and lots of interesting things going on within their fairy-tale world. 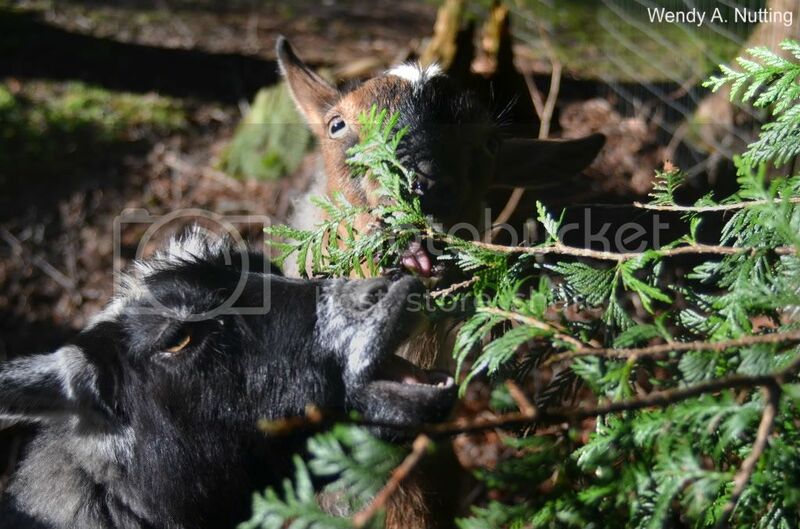 The two bigger goats gorged themselves when I gently lowered the branch of the Cedar tree and munched away at the chewy fragarent leaves. 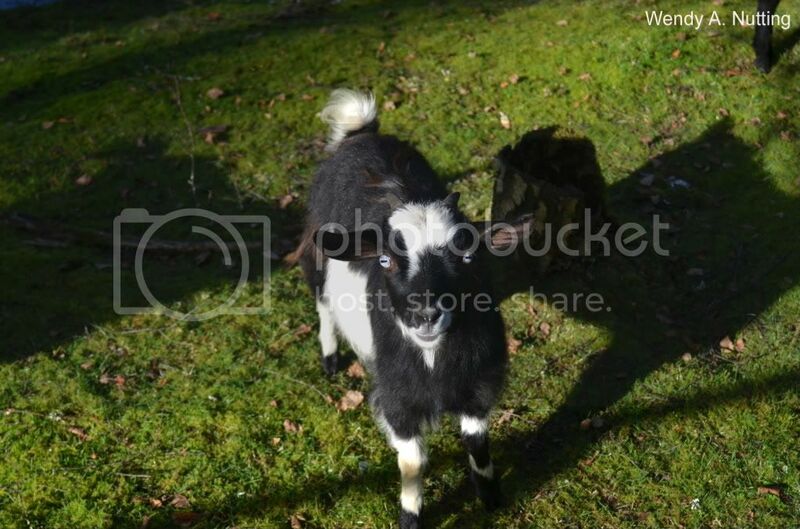 And that my friends is the story of the famous Pygmy goats of Woodway.